Therapeutic phlebotomy is the cornerstone, front line, most important element of hemochromatosis treatment. In hemochromatosis, therapeutic phlebotomy is a procedure that removes blood from a person’s body with the specific goal of reducing iron overload. Therapeutic phlebotomy involves the same procedure as blood donation; the primary difference is the frequency of how often we give blood. Phlebotomy (aka venesection) may be recommended quite frequently for a person who has just been diagnosed with iron overload, especially if their ferritin levels are greatly elevated. A physician’s prescription is necessary when the recommendation for phlebotomy is more frequent compared to the typical time frame allowed between a typical blood donation at a community blood services center (which is allowed to be completed only once every 56 days). Therapeutic phlebotomy is continued until the patient’s ferritin level reaches a goal level set by their physician. Most experts state that each phlebotomy reduces the ferritin level by 30 to 50 points. While this may be an accurate average, I have had a number of patients report even greater reduction in their ferritin per each phlebotomy. When a person’s ultimate goal level of ferritin is accomplished, there is much to celebrate! However, in looking forward to the future, a person will want to prevent their iron levels from becoming elevated again. Maintaining a healthy iron and ferritin level becomes the next therapeutic goal. Once this phase has been reached, many times individuals with hemochromatosis maintain their ferritin levels by simply donating blood the old fashioned way- at their local blood donation center or at a blood drive. Of course, you should always be sure to talk with your physician about making your best therapeutic decision regarding phlebotomy. Is Blood Donated by Those with Hemochromatosis Viable? Having recognized the safety of our blood, the FDA has always allowed individuals with hemochromatosis to donate. 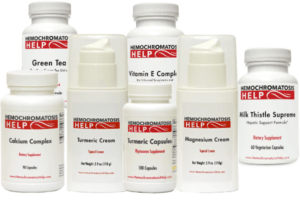 Hemochromatosis is a metabolic disorder, not a blood disorder. 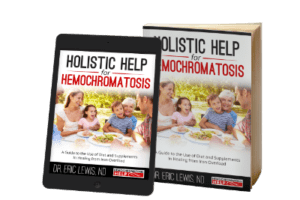 Hemochromatosis is not a transmissible condition, and therefore other individuals who might receive this blood are at no risk of developing iron overload. If you have hemochromatosis and you can donate at a community blood center, donating blood may not only save your life, it might save someone else’s life, too! Virtually anywhere, anytime the world needs more blood donation. It is a true win-win scenario! However, often times when an individual is prescribed therapeutic phlebotomy and it is performed in a hospital or medical office setting, the blood is discarded. This scenario is still helpful for the health of a person with hemochromatosis, however the blood is not used to help another individual. Additionally, a number of blood centers have elected NOT to accept blood from people with hemochromatosis. They have not applied for the variance from the FDA, and they will reject a person with hemochromatosis from donating. I have listed several resources below, so be sure to call ahead to your local or regional center. What is a Phlebotomy Procedure and How Does it Work? The process of phlebotomy simply involves inserting a needle into a vein for the purpose of collecting blood. Most likely, one of the large veins that pass close to the skin near your elbow crease will be selected. A large area is cleaned with an antiseptic (very commonly iodine or chlorhexidine). It is very clean and very safe and every step is taken to ensure your comfort throughout the process. The needle used to extract the blood is typically larger than a needle for drawing blood for lab testing purposes. The larger needle is necessary to protect the red blood cells from becoming damaged. In relationship to the treatment of hemochromatosis, therapeutic phlebotomy involves a technician removing approximately 450 to 500 milliliters, or 1 pint, of blood. Depending upon your height and weight, your circulatory system holds about 10 to 12 pints of blood at any given time. Removing 1 pint of that makes a difference that you will feel! 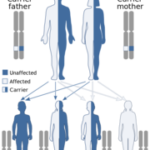 As a result, your system begins to compensate and quickly works to make new blood. This process actually has a number of benefits to your health beyond reducing excess iron. Hemoglobin in your blood carries iron, so when you lose blood via phlebotomy, you’re essentially also losing iron. By reducing excess iron and lowering the ferritin level, phlebotomy can reduce symptoms, halt or hopefully reverse the progress of iron overload disease, and save our lives. A single blood donation removes in the neighborhood of 200 to 250 milligrams of iron. Considering the typical daily loss of iron through our metabolism is only about 1 to 2 milligrams, a single blood donation can be a powerful tool to reduce iron overload. As an important reminder, the human body has no major mechanism for excreting iron once we have ingested it. This biological reality therefore makes therapeutic blood donation all the more critical for hemochromatosis treatment. Who Can Perform a Therapeutic Phlebotomy? A trained phlebotomist performs the procedure to remove the blood. Most typically, a phlebotomist will perform this therapy in a medical office, hospital, or even a community blood service center. When there are no complications, a therapeutic phlebotomy usually takes 10 to 15 minutes to complete. It can be quick and easy for many individuals. On the other hand, I have had people tell me their phlebotomist will have difficulty finding a proper vein, which may add to the time involved (not to mention the potential discomfort level). One person told me the office she goes to needs to use an ultrasound machine to find a vein and the process takes an hour. Her situation is a “worst case scenario”, and is atypical. Ask your physician (if you haven’t already)- Many times a doctor will have already made a prescription for phlebotomy and instructed the patient how to proceed. NOTE: Not all of these centers have a FDA variance. Call your regional center to see if they will allow you to donate blood. Even though phlebotomy is safe and effective, some individuals just have a difficult time. Perhaps they have low blood volume and are subject to fainting… perhaps their veins collapse… perhaps they have had so many therapeutic phlebotomies that their veins have developed scar tissue. Some folks just plain old do not like it. I have heard all these stories and more from individuals suffering from hemochromatosis. It can be hard– believe me, I know! For individuals with the greatest amount of iron, you may be donating blood weekly until your numbers improve. Phlebotomy can be hard on the body. It can be very difficult, especially when you do it with high frequency. Yet it may save your life. Besides iron chelating medicines (which have their own pros and cons), phlebotomy is really the only conventional way to get that iron out of your body. During the procedure or right after it, low blood pressure, which may lead to feeling light headed, weak, or even fainting can occur. Bruising can occur. Some symptoms can persist beyond the treatment. 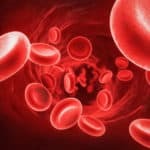 A goal of therapeutic blood donation once was actually to induce a mild anemia in the attempt to clear stored iron from the tissues and organs. Quite a number of individuals have reported to me that they begin to feel anemic if they donate too frequently. I would actually say that this is the most common concern that people with hemochromatosis tell me. This practice of maintaining an anemic state is no longer advocated. Anemia refers to how much blood you have– it is not specifically about how much iron you have. It is quite possible to have too much iron and simultaneously be anemic. If too many phlebotomies are performed too quickly, it is quite possible to become too anemic during this process. Trust me, as someone who has been anemic due to phlebotomy, I know how weak, dizzy, and poor you can feel! Please, if you have any concerns related to your response to blood donation, contact your doctor! Ask questions and raise your concerns. This is your health care we are talking about! As important as it is to get the excess iron out, you should not have to feel terrible during the process! It is often a difficult balance to achieve, yet it is very important to try and find that right frequency and amount. Phlebotomy helps you lower ferritin and may reduce the symptoms of too much iron. 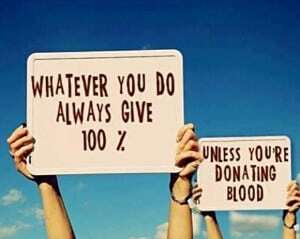 On top of that, your donation may save another’s life if it is drawn by a center that can use the blood for others. Bottom line, there’s no better single way to help in the treatment of hemochromatosis than therapeutic phlebotomy. I know I feel better. Often times, much better. I have personally noticed that I will audibly exhale a sigh of relief about 2 minutes into blood donation. My muscles and joints hurt less, I sleep better and am less tired, and my thoughts are more clear. Many people have echoed these improvements to me, and the positive impact that it has upon our lab test numbers is without doubt. Therapeutic phlebotomy absolutely saves lives, and I consider it an essential part of hemochromatosis treatment.